MAREB students may benefit from scholarships granted by different institutions. Most on the aid programmes depend on the nationality of the applicant. The following list provides links to some of those scholarships. Students are reminded to check the application periods of each institution and apply to MAREB as early as possible if they need an acceptance decision in order to obtain the grant. Fundació Crèdit Andorrà awards 3 scholarships for official master degrees. CONICYT’S BECAS CHILE provide scholarships for master’s programmes abroad. SENESCYT offers different types of scholarship for postgraduate studies. The German Ministry of Education keeps a database of different forms of financial aid. The JN Tata Endowment awards loan scholarship to Indian nationals wishing to pursue postgraduate studies abroad. The Fondazione Luigi Einaudi has a programme of scholarships in the area of social sciences. CONACYT awards scholarships for PhD and master students. The Jansons Legat funds scholarships for postgraduate studies at foreign universities. The Higher Education Commission has a series of scholarship programmes. The King Abdullah Foundation awards scholarships in the areas of e-commerce and finance at graduate level. The Bank of Spain offers grants to pursue postgraduate degrees in Economics, including official masters in Spain. UAB and Banco Santander offer Itaca scholarships to master students. Candidates must have received an Itaca scholarship during their undergraduate studies. 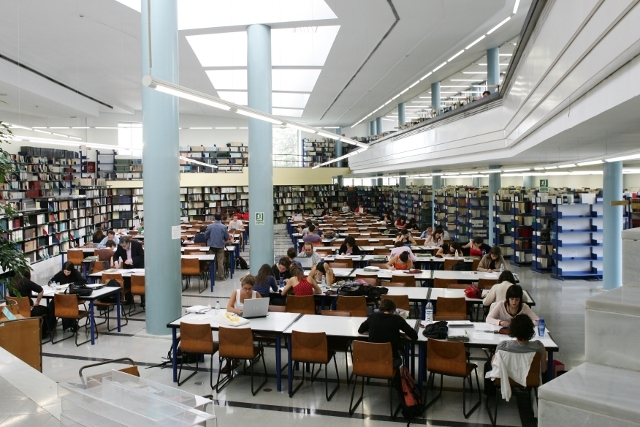 Fundació Agrupació offers scholarships for official master programmes, although they are only available to customers of that health insurance company. Fundación Rafael del Pino has a programme of scholarships for postgraduate studies aimed at developing the entrepreneurial and leadership spirit of the candidates. The Agha Kan Foundation provides aid to students from developing countries wishing to pursue master studies. Aid is 50% scholarship and 50% loan. MAREB students may also be able to obtain scholarships related to providing research or teaching support, awarded by the Spanish Ministry of Education. Since these are awarded once the academic year has started, they cannot be regarded as tuition-waivers. If you want to be considered for either of these scholarships (of around 2.400 euro each), please mark the option 3 in section E of the application form.